The patient is in the pre-operative area lying comfortably on the stretcher bed when the physician approaches him to do the H&P update. After greeting one another, the patient reaches into the top sheet and pulls out a gun. “You better do a good job, Doc,” says he. The doctor reaches down and takes the gun away from the patient without incident telling him that weapons are not allowed in the center. A similar incident occurs at another center when the patient, a police officer, does the same thing. That surgeon reaches for the gun and tells the patient, “John, you are not a police officer at this time, but a patient. Give me the gun.” They laugh about it, but later the staff share their alarm with the OR Supervisor and Administrator. In another occurrence the patient, who has become quite argumentative and irascible, is being escorted to his car. Upon being told, again, that he cannot drive, he opens the driver’s side door and reaches under the seat. He retrieves a gun which he carries around to the passenger side and puts the gun in the glove compartment. In this instance, the OR Supervisor drove this patient home! In one other center a former employee is found dead outside of town in a desolate spot. The victim of multiple complaints of domestic violence involving her former husband during her time at work, this person is dead and the former husband is still free. Most adults spend more of their waking hours in their work place during the week than they do in their homes. This familiarity breeds a feeling of comfort and safety. This is their “home away from home.” Their guard is as down as it is at home—maybe more so based upon the “safety in numbers” thought processes most humans have had in the past. We can no longer afford to think along those lines, but must, rather, consider not only our safety at work, but that of our patients, visitors and other staff members. 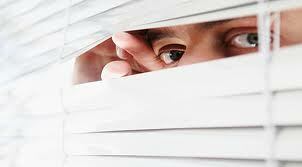 The safety of your work environment from a security aspect has to be evaluated. Gather the staff and work with your Safety and Security officer to conduct an intensive security assessment. Begin in the parking lot. Is your parking lot well lit? Is it close to the building? Are there large bins/dumpsters and shrubs behind which someone could hide? Do staff members arrive at nearly the same time thus forming a “buddy” system for leaving their cars and crossing the lot to enter the building? Would such a system be possible for all those entering (or leaving), especially during those times when it is dark? Is the staff entry door well lit or is it an alcove that enhances the darkness and isolation? Is the door easy to enter such as a keyless system, or does it require a key that can be dropped or fumbled thus increasing entry time? Is the staff entry door kept locked? Is there a back or side delivery door for supplies? Is this door kept locked or is it propped open for vendors or visitors—especially those bringing food? Do external doors include windows, a side window panel, or, at the very least, a peep hole? Even though staff can see the person ringing that bell, is identity confirmed before they can gain entry? Vendors should always check in at the front desk prior to going to the back or side door to deliver supplies. At the very least, a known vendor should call the center to advise them that he is about to deliver supplies, etc. A doorbell should be installed at the delivery door. Human beings have a Pavlovian response to someone knocking on a door or ringing a doorbell; i.e., the response is to automatically open the door. But…is this the safest action to take? With a pre-arranged phone call, once the doorbell rings, the staff member can look through the window or peep hole and verify the delivery person. However, if this person is not familiar to the staff, some form of identification needs to be presented, before that person gains entry. Have them show picture ID as well as a company ID. Vendors going to the front desk would have already presented identification and had it verified. Leaving back doors propped open or unlocked is a common practice not only for vendor access, but for smokers who want to just pop out for a quick smoke. This is not a safe practice and should be stopped in your center immediately. Another issue with the service, staff or emergency doors is that they are frequently all glass in a metal frame. While this may be more attractive from the outside, and certainly lets in light, consideration should be given to replacing these doors with the solid core variety. One rule of thumb in any hostile situation is to reduce the visualization of staff, patients and visitors. A glass door lacks the safety of invisibility. In one very active OR, a gun wielding man came flying through the double doors of the operating room suite waving the gun in the air and making wild threats. The man was clearly not of “sound mind,” but his gun was definitely based in reality. Following that incident, the administration had a lock system installed to separate the patient care areas from the reception/waiting room. Conduct a complete safety assessment of the waiting/reception/admitting area. Who unlocks the front door? When? Who else is in the building when this happens? Is it usually dark outside when the doors are unlocked? If the center is located in an office building, are other offices open already or is the center the only “sitting duck”? Several centers have reported vagrants sleeping either on the benches outside the entrance or in the entry alcove. Other centers have reported vagrants sleeping in rooms such as that containing the vacuum pump that were left unlocked. Two centers reported that vagrants had been sleeping IN THE CENTER overnight. Access was gained by the vagrant slipping into a lobby bathroom while the reception desk was unattended and after the waiting room was empty. They merely, in both instances, had to wait until everyone left. With no motion detectors as part of the security system, they were free to raid the refrigerators, shower in the locker rooms, don clean scrubs, and watch television until bedtime. In two other instances, recovery nurses walked in on strangers in their recovery rooms on “no surgery” days. Both strangers took off running when the nurses entered. Only one was caught. He had been looking for drugs and money. In both cases, the vagrants were able to enter past the unattended reception desk after the waiting room emptied—as clearly visible, by the way, through the floor to ceiling windows and glass doors in the lobby and waiting room. While nothing except stark terror occurred in these instances, it could have been otherwise. When the last person leaves that waiting room, the door needs to be locked regardless of the inconvenience. Either a thumb lock or crash bar system is acceptable. A word of caution about the thumb lock is warranted. If this lock is visible through a glass window, it is worthless…and we are back to the problems with glass doors or doors with large windows! As mentioned before, all the areas off the waiting/reception area need to have keyless entry locks i.e., into the patient care areas and administration. There was a time this seemed like overkill in the ambulatory surgery world. Those days are long past. These locks help prevent, or at least will slow down, easy access to these vulnerable places. There needs to be a panic button that is knee or foot controlled at the front desk. This panic alarm should be silent and should go straight to the Central Service/police as recommended by your local authorities. A good idea would be to have it light up in administration and at the nurses’ stations alerting all in those areas of a violent situation at hand. The administrator would follow up the silent alarm with a 911 call. Check this alarm on a regular basis. Shortly after the Joint Commission introduced its patient safety goals concerning alarms, many centers reported theirs were present but either non-working, or, in one instance, had never been connected to the alarm system. Make sure all staff know where it is, when it is to be used, how it is to be used and their jobs should it be used. Develop a policy for Aggressor in the Workplace. Inservice the staff thoroughly and conduct an annual drill. We have learned much, unfortunately, regarding aggressors from the Columbine, Chardon, Sandy Hook events. Secure your area. Shut doors, blinds and curtains. Lock as many doors as possible. Stay out of restrooms. Get as far away from doors as possible. Evacuate only if safe to do so. Stay quiet and, if unable to evacuate to a safe place, wait for the authorities. What would you do if an aggressive attack happened during surgery? In one center, a patient’s husband in the waiting room, jumped up and screamed that he had a bomb attached to him. Imagine the terror! This center had no means to control the bomber’s access to any areas. He was free to roam while keeping staff, patients and visitors as hostages until the police arrived! This could have happened in the Pre-op or PACU areas just as easily…and in those centers with the “open” floor plan this is just a door away from the room where surgery is being performed! In one ambulatory center a staff member’s husband arrived at the front desk and asked for her. The receptionist called her to the front, where the husband pulled a gun and shot her dead right there in the waiting room. It can happen anywhere…a hairdresser’s salon, a McDonald’s…a surgery center. Later it was discovered that this staff person had asked her husband for a divorce the night before. Urge your staff to communicate problems/issues with you as a leader. As a leader, you should look for and watch for signs of abuse in your staff members…physical and emotional. Be alert. Talk to that person. Ask them if they believe the safety of the surgery center is at risk. Recently, a national poll advised that Americans no longer feel safe. This is an unfortunate state of affairs, but has us join our sister nations in this aspect. You need to stay alert. Be observant. Review your policies. Conduct your drills. Include the physicians in your Safety Plan and Drills. Take your Safety and Environmental Hazard Assessments really seriously. 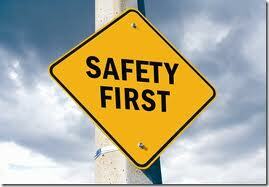 Implement sound safety practices, and most of all, be safe!